It’s true. They call me Gallimimus now, even though I have all these teeth. I don’t care either way… the smart mouse gets the cheese. A tiny set for a busy day. 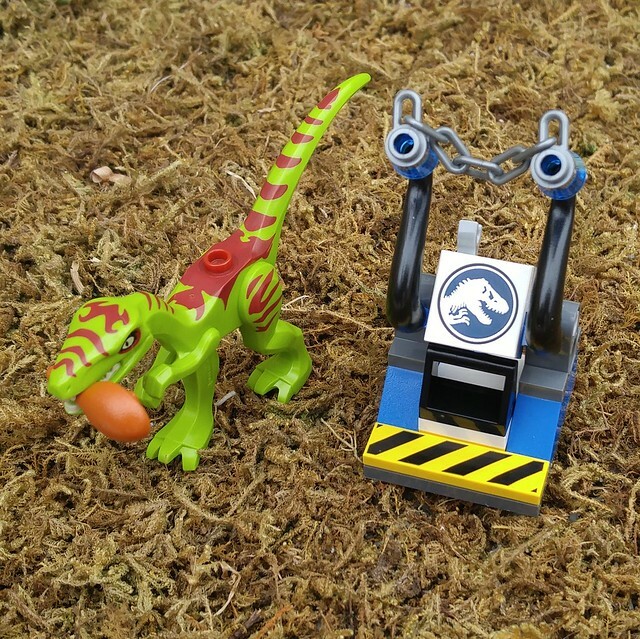 This polybag came out with Jurassic World and they re-purposed the Coelophysis from the LEGO Dino theme to be a very toothy Gallimimus. Oh well, they don’t have feathers anyway, so how accurate can we expect them to be? A couple of decent parts and a nice printed Jurassic tile, but I’d have bought this bag if it was literally just the dino. Tomorrow will be a bit bigger. Maybe… more teeth.